Cabinet Engineering (CE) provides a significant amount of support to the engineers for the design and layout of the control cabinets. The cabinet layouts are fast, simple and efficient and include comprehensive functionality such as exact and optimal placement of components, collision checks for objects, filling degree of cable ducts is displayed, a 3D view provides better spatial awareness and the generated data can immediately be used for the production of wires, wire harnesses, cabinet doors or mounting plates via interfaces. A useful feature is the cabinet layout from external E-CAD data without any previously created schematics: A wizard reads terminal charts and material and connection lists and matches them against the WSCAD database. 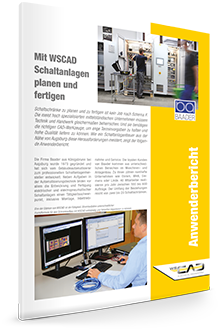 A new degree of freedom for cabinet builders, who want to create cabinet layouts with WSCAD on the basis of data from other E-CAD systems. Control cabinets cannot be designed and manufactured by the book. Most of the highly specialized medium-sized companies need to be equally proficient in both the technology and the skills of the trade. And they need the right CAD tools to meet tight deadlines and deliver high quality. 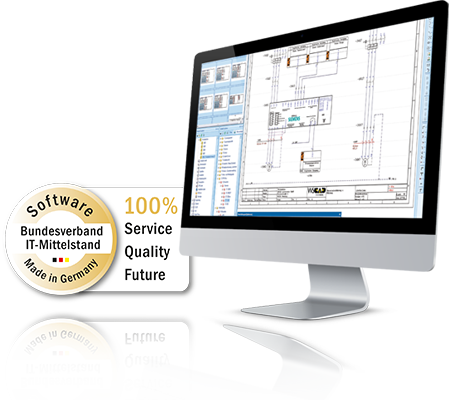 The following user report illustrates how a switchgear manufacturer from the vicinity of Augsburg, Germany has mastered these challenges.